I had this picture taken when I was one month old! This is another picture with a little hat on! Taken on 6.25.99 - 2 Months Old! Taken on 9.21.99 - 5 Months Old! 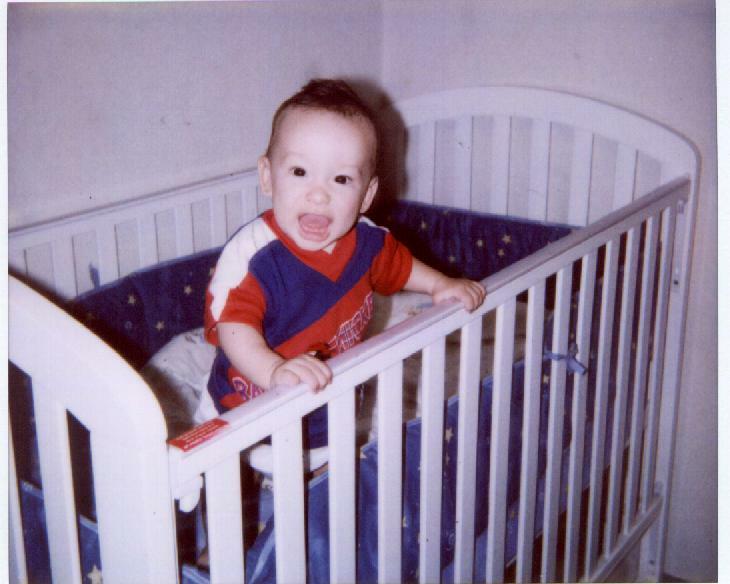 Here I am the first day I stood up in my crib by myself!